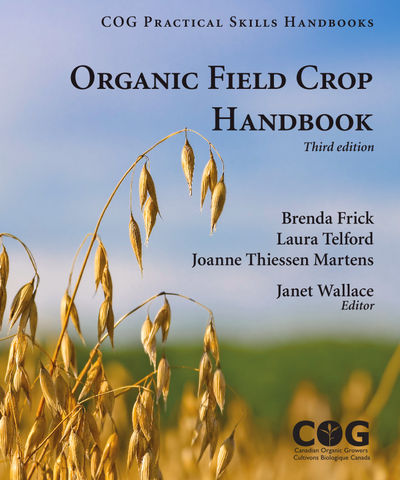 The Organic Field Crop Handbook – 3rd Edition, provides a road map to field crop producers who aspire to improve the environmental sustainability and profitability of their farming operations. It is intended for organic farmers as well as for producers who want to reduce their reliance on external inputs while improving knowledge of non-chemical weed management and natural methods to enhance soil fertility. Academics and extension workers will find these pages packed with the latest science (at the time of writing) and best management practices for organic field crop production. The handbook provides the theoretical foundation as well as practical production guidance for the cultivation of the key organic field crops grown in North America.